NEW YORK – Just one in three New York public high school recent graduates report that they felt “significantly challenged” in high school, and roughly half of those who went on to college report having to take at least one remedial course. 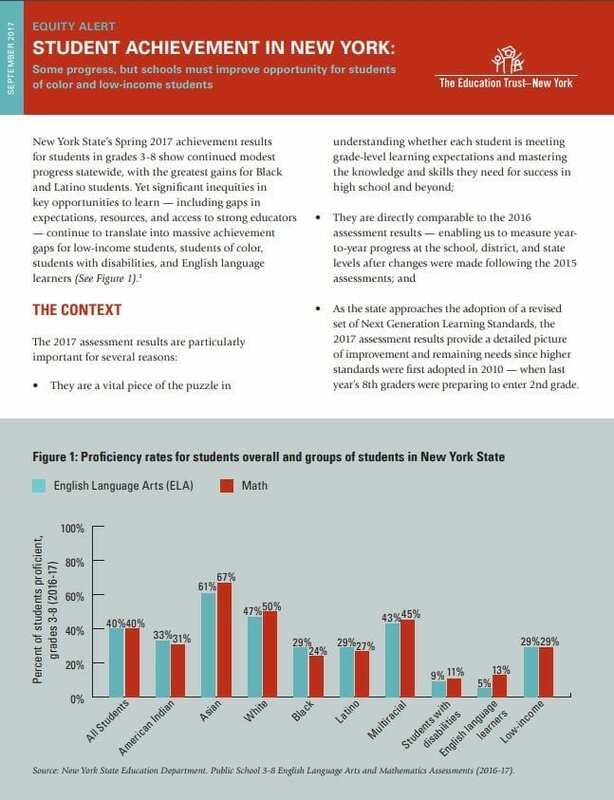 Those were some of the key findings of a survey of more than 1,000 recent New York State high school graduates that was commissioned by The New York Equity Coalition in an effort to gauge how well graduates felt their high school experience prepared them for success in college and the workforce. The survey comes in the wake of a report released by the coalition that identified significant disparities in access to a range of important middle and high school courses that prepare students for college, careers and civic life. Statewide, schools enroll White students an average of two times more frequently than their Latino and Black peers in a range of key course offerings, and nearly three times more often in critical advanced courses like Advanced Placement Math and Science. Nearly half – 47 percent – of high school graduates who went on to college report that they were asked to take a remedial course in at least one subject. 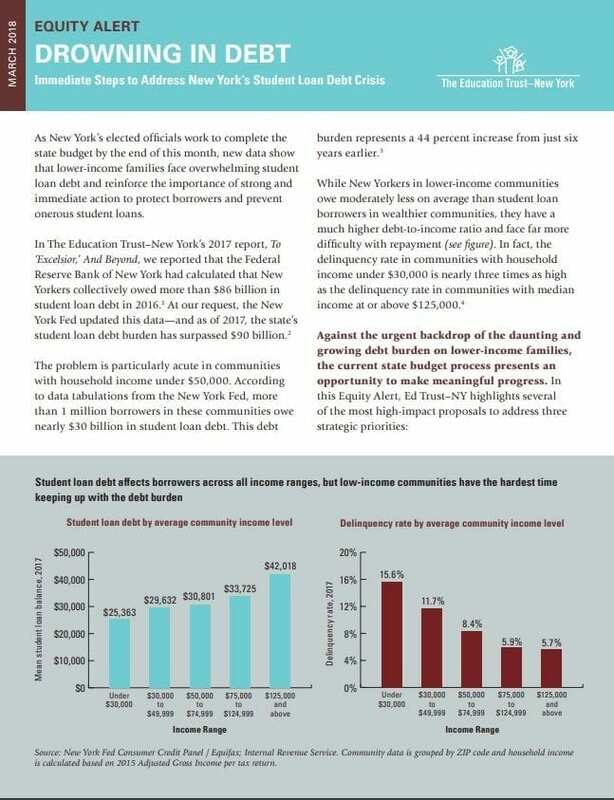 Among graduates who enrolled in a two-year or community college, the percentage was far greater, with 67 percent reporting they were asked to take a remedial course. First-generation college students – those who parents did not attend college – are more likely to wish they had received better preparation than are those with college-educated parents. 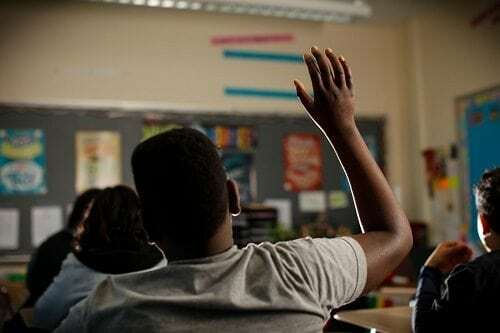 A minority of graduates in all geographic regions – just 28 percent of graduates of Upstate high schools, 40 percent in New York City and 39 percent in Long Island and Westchester County – report that academic expectations were high for them. More than one in three recent grads – 40 percent of first-generation college students and 34 percent of grads with a college-educated parent – say they wished they had received more information about what courses to take to prepare for college. The one subject recent high school grads – both those who went to college and directly to the workforce – are most likely to wish they’d had more preparation in is math. Most recent grads support a range of proposals aimed at encouraging high schools to better prepare students for life after high school. All survey respondents were between the ages of 17 and 24, and graduated from high school in New York between 2013 and 2017. Interviews were conducted online between Aug. 3 and Aug. 21. The sample was weighted slightly to reflect the population of public high school graduates by region, race and ethnicity. The margin of error for the survey is plus or minus three percentage points. The poll was conducted by Kiley & Company. The coalition of parent, business, education and civil rights groups conducted the survey to gather insights from high school graduates as part of its ongoing focus on college- and career-readiness. Earlier this year, the coalition introduced its 5×25 Agenda, calling on state education officials to take steps to ensure that all students have access to the critical courses that will prepare them for future success. Hundreds of parents, students, educators, legislators and business leaders have now signed on to the 5×25 Commitment, which lays out 5 Commitments to every student in the Graduating Class of 2025 – an agenda for success starting with the cohort of students who are entering sixth grade in Fall 2018. COMMITMENT 1: All students, families, and educators will have accurate and timely information, support, and help to access a rich and robust course experience in their school. 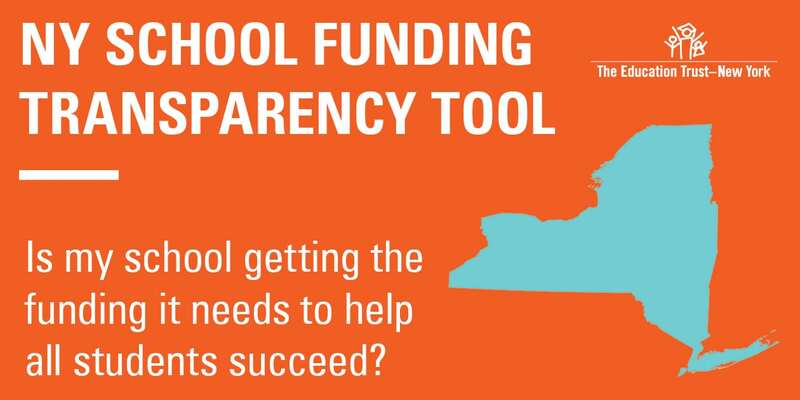 HOW: Leverage the state’s new accountability system to enhance transparency and implement school improvement strategies that support equitable access to rigorous courses. COMMITMENT 2: All students and families will have the information and support to pursue rigorous college- and career-prep pathways. HOW: Require that families receive better information and expand access to school counselors and other resources. COMMITMENT 3: Every student will receive rich and rigorous instruction that prepares them for success after high school graduation. HOW: Establish a default college- and career- prep course sequence that all students are automatically enrolled in, backed by high expectations and support for educators and students. COMMITMENT 4: Every student will be able to earn college credit and/or participate in work-based learning opportunities before they graduate from high school. HOW: Expand access to AP, IB, dual enrollment courses, proven programs like P-TECH, and employer-based internships and other connections to colleges and employers. COMMITMENT 5: High school graduation requirements will match modern-day expectations for college, career, and civic readiness. HOW: Update New York’s course requirements for high school graduation, including by adding a fourth year of math.